After the wonderful discovery of the Tuscan apricot tea I went back to the place of my original find looking for more from the same vein and I'm glad to say that I was not disappointed. The shopkeeper brought down a tin of a tea called Thé Ronde d'Automne that was fragrant with the aroma of hazelnuts. Immediately I knew this was one to get. Unfortunately, they had run out of it at that time and it took three more visits and as many months to finally purchase some. Quite popular it must be! As the aroma betrays, this is a black tea perfumed with hazelnuts. The leaves are fair sized, are a mix of Ceylon and china and have actual hazelnut pieces mixed in. Researching on the net, I found that there is also some vanilla in there for good measure. For a teapot, about 20% more leaves and bits are needed than a regular black tea to get the same brew strength. The brewing time is also on the longish side taking around 7 minutes. Fortunately this one is also resistant to getting bitter. The brew color is dark and unusually cloudy though not opaque or thick as it swallows uncomplicated. My guess is that the cloudiness stems from parts of the hazelnuts being dissolved in the liquid and threw the mesh. The taste itself is pleasantly nutty. I'm not a fan of hazelnuts myself (I'm an almond guy) and the success of the Nutella spread mystifies me as I cannot find anything special in it. Yet, the flavor in Ronde d'Automne does the trick for me. Comparing it with the Frangelico liqueur, which I also like, it is very similar, but a degree or two lower in intensity. The flavor also has the benefit of not getting lost in the teapot so each sip is almost as good the first one. The taste of the black tea is also entirely cloaked in this blend, though slight astringency can appear if oversteeped or if too much leaf is used. It doesn't appear to have the high amount of caffeine that the Tuscan apricot has, so more cups can be drunk without noticing caffeine highs. Also, it is only anecdotal, but I find that it soothes and relieves reflux and stomach pain. I can cannot assert it as a fact, but will keep on testing. Some people say that tea (except Puerh) shouldn't be stored for long. With the Ronde d'Automne I believe that this might be the case. The fresher the better, is a sound advice here and so despite the problems of finding it, I believe it is better not to stock up when you do. Instead, just buy what you might prepare within the next few months. A nice solid addition to the tea shelf and also a good choice as an introduction to tea in general or for somebody that already loves nuts. We've taken a look at Sandboxie and as lightweight solution it pans out. What if we wanted something more full-featured? For that we have virtual machines. A virtual machine, as opposed to a physical one, is a platform that allows a guest OS run under an existing host. This means that the you can have more than one OS running simultaneously under your existing hardware. This allows a fantastic array of possibilities ranging from testing to security. I'll center the discussion to Microsoft's Virtual PC 2007 which is the one I know best. There are many other choices to pick from, some with more or less features. 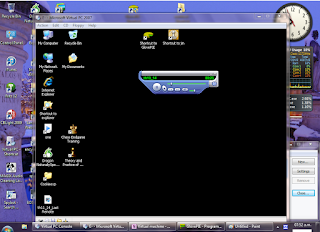 Virtual PC 2007 is a free Windows program from Microsoft than can run both in 32 and 64 bits. It installs in your physical Windows machine (the host) from Xp on, and can run from Windows 98 SE to Vista plus many unsupported OSes such as Linux and Win95 & Win7. You must have the installation discs or ISO files for the guest OSes you wish to run as these are not provided. According to Microsoft's TOS installing the same OS as a guest in a virtual machine counts as if it were installed in a physical machine. Once installed, the guest is totally unaware that it is running inside a virtual environment and behaves as you would expect it to on physical hardware. I see no impact on performance for everyday tasks. Only video playback can get jittery, but a better video card might solve this. There are some limitations to Vpc2007, but the main ones are that there is no USB support, the virtual machine can only see one core and that the resolution is capped. Ram is the biggest requirement as you have to assign a portion of your physical memory to each virtual machine. Each time I restart from a known pristine state. In fact the only occasions when I save the changes is when there are security updates. Theoretically my physical hardware stays fresh. In all the years from using VMs this has been the case and I've never had an infection or cause for complaint. Virtual machines are also a great way to run legacy software. By the looks of it this program won't be likely ever to be updated again, so in some years down the road I'll migrate to Vmware or similar. Some books are so delicate, unwieldly, or otherwise restricted that it is nigh impossible to get a photocopy or scan by the usual means. On a whim I typed to see if there was anything like a 'handheld scanner' and was surpised to find out that there were and affordable ones too. I decided on the best rated model and bought one. 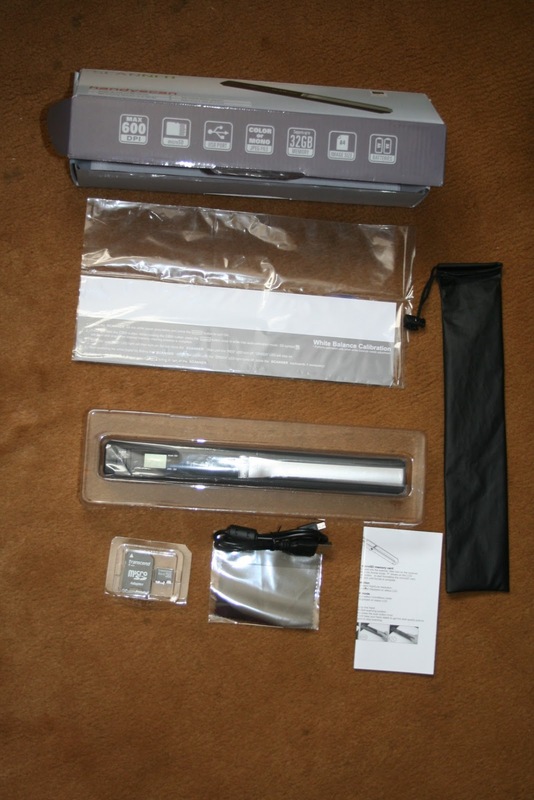 The Handyscan scanner consists in a long bar with scanning lights and rollers on the underside. It works by pressing a scan button, rolling the bar over the page or document and finishing by pressing the scan button again. The images are saved on *.jpg format in a microSD card (optionally included) and numbered sequentially for easy retrieval. There are a couple of extra settings as well: color or mono and 300dp or 600dp resolution. It works on 2 AA batteries and has a LCD screen for the controls. Images can be downloaded either through an included USB cable or by inserting the microSD in a drive that supports it (a microSD adapter is also optionally included). You can judge the scan results by the following images. Its borders at the ends aren't tight enough. This makes it difficult or impossible to scan a page at a time from books with slim to moderate inner margins without submitting the spine and binding to stress. Bottom line: If you already have a scanning project that can't be solved with a flatbed and are willing to spend some time effort and you can overlook the other cons, go for it. Moving along to news of the odd from times past, there's the LP album Ken: By Request Only. This one is regularly featured in galleries containing the 'worst album covers of all time'. Ken's expression is certainly odd, his gaze fixed expectantly on something on the horizon. Now, really, other than that there is not much to make it merit the worst album cover ever title or to be among the top contenders; there are plenty that are really bad out there that easily top Ken. This may be our lucky week as there's one copy up for grabs on ebay. I'll bid for it, though I don't expect to win.